The meeting was attended by more than thirty stakeholders, including TP9 project partners (EDU-LAB, InnoSchool, Learning by Doing) as well as representatives from TP3 “Entrepreneurial Learning Systems” (Excellence-in-ReSTI), and coordinators of EUSDR PA7 and PA9. Stakeholders represented a wide variety of organisations, such as ministries, universities, Chambers of Commerce and Industry, NGOs and research institutes. 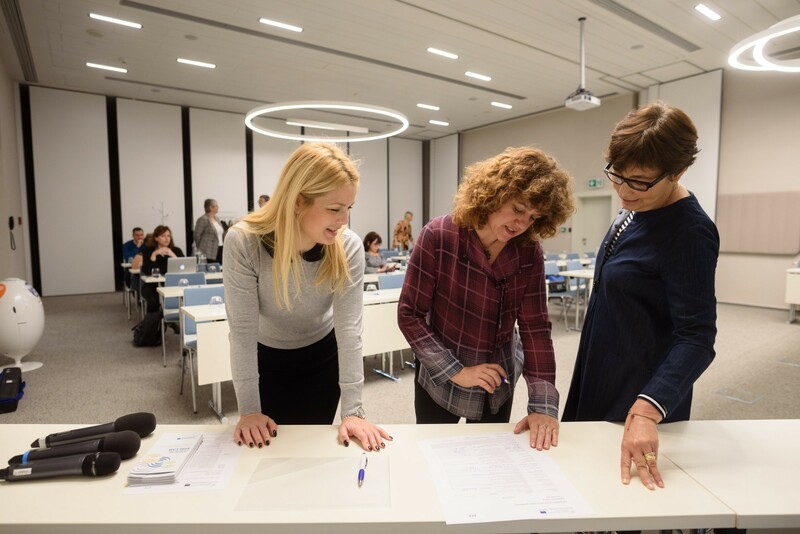 The event started off with speeches by representatives of EUSDR Priority Areas, Jaroslava Szüdi, coordinator of EUSDR PA7 “Knowledge Society” and Ulrike Sedlmayer, coordinator of PA9 “People & Skills”. The presentation of lessons learnt focused on the challenges faced and best practices established while developing learning tools for multiple transnational and transsectoral stakeholder groups. Through impulse presentations by representatives of the projects EDU-LAB, Excellence-in-ReSTI and Learning by Doing, attendees had the opportunity to learn more about the implementation of other projects. Dijana Strbac from the Institute Mihajlo Pupin shared her experiences about the development of e-learning courses in the framework of the project EDU-LAB. 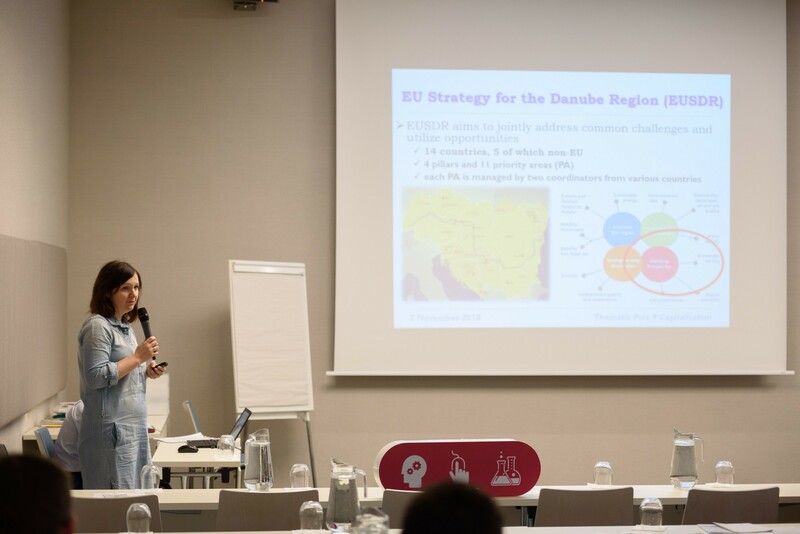 A further interactive tool developed within the project EDU-LAB, the recently published Policy guide, entitled “How to Start – Implementing the New Danubian Governance Model”, was presented by Dr. Natasa Vaupotic (University of Maribor). “The Policy guide serves to to ease the transition from words to work, develop a tool that is interactive and easily accessible, where stakeholders can easily find the information that is specifically interesting for them.” – Dr. des. Ágnes Sebestyén, Project Director of EDU-LAB (European Foundation for Education). Gábor Szüdi from the Centre for Social Innovation, presented the project “From Excellence in Blended Learning to Excellence-in-ReSTI”. During the project, a learning tool developed for project managers with the aim to increase competencies and participation in ReSTI (research, social and technological innovation project) projects. 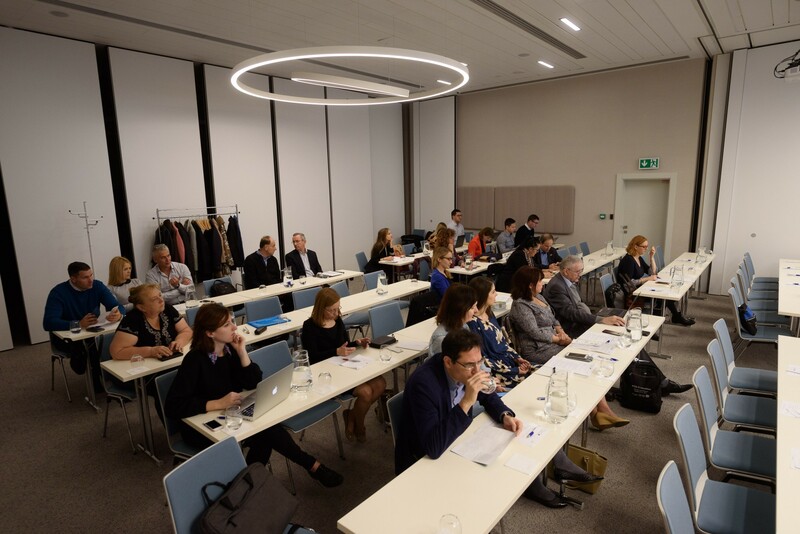 The project is part of Thematic Pole 3 “Entrepreneurial Learning Systems”, however it shares similarities with TP9 projects and the meeting served as a good opportunity to discuss common points and learn about project results from other Thematic Poles. The meeting ended with closing remarks by Johannes Gabriel, project officer of the Danube Transnational Programme. “In your pole, you are tacking skill mismatch which you have in common in your projects, using synergies to come to policy change. Take it as creative work, we try to support you as much as possible and we do our best to develop ideas.” He thanked participants for the high attendance, welcomed new partners and encouraged project partners to keep up with the good work they have been doing so far.